Many brides put a lot of thought in their wedding venue, and want a location with beautiful scenery, and many brides tend to prefer a magical sea view. Many brides choose their wedding venue depending on the view, and love hotels that are located near the sea and have a view of the sea. 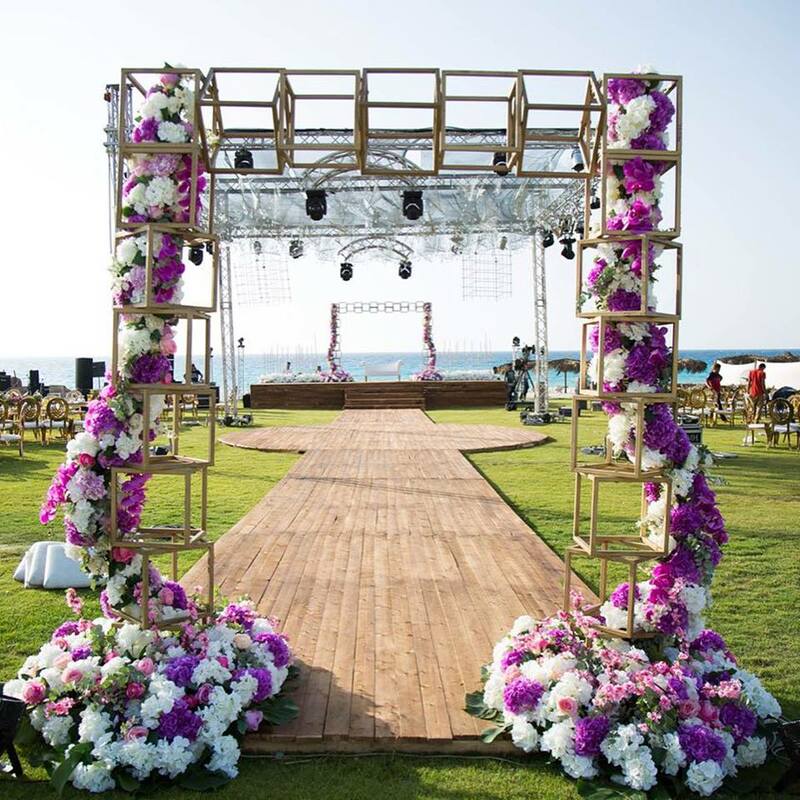 When it comes to the North Coast in Egypt (El Sahel El Shamali) it is filled with luxurious and elegant wedding venues, that offer a beautiful view. The northern coast of Egypt extends for about 1,050 km along the Mediterranean Sea from the eastern side of the Sinai Peninsula at the Egypt-Gaza border to the western village of Sallum at Egypt's border with Libya. It is one of the longest Mediterranean coastlines in North Africa. It is known for its beautiful golden sands and clear blue waters, El Sahil El Shamali is one of the most beautiful places in Egypt. 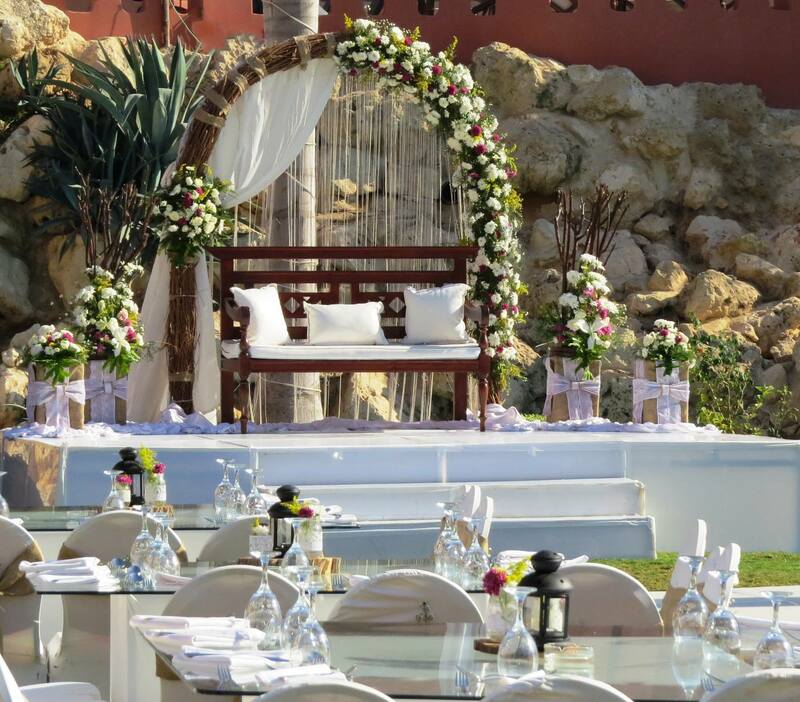 The hotels in north coast Egypt have perfect wedding venues for any style of wedding you want. To help you choose the right wedding venue for you, we have a list of some of the best hotels in north coast Egypt. Situated on the northern coast, the Radisson Blu Hotel in Alexandria lies about 10 minutes’ drive from the gorgeous Mediterranean shoreline. The luxury hotel is also close to the Borg El Arab Airport (HBE) and renowned attractions such as Ras El Tin Palace and the Bibliotheca Alexandrina. The outdoor garden overlooking the lake makes an eye-catching backdrop for your special day. Located at the tip of the Northern Coast Road in the heart of the upscale Alex West compound, the Radisson Blu is an ideal choice for your wedding in Alexandria. The breathtaking outdoor garden provides a serene, tranquil place to say your vows in the company of your loved ones. 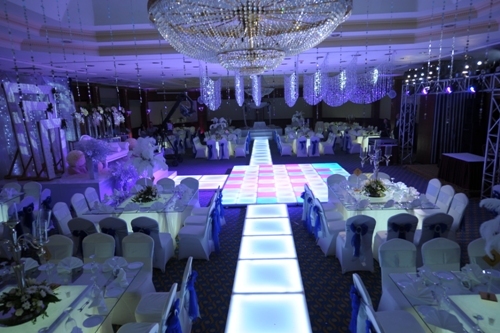 The hotel features two impressive venues for your memorable day. Al Fanar Garden overlooks the natural Lake Mariout and can accommodate up to 800 guests. The swimming pool venue offers space for up to 1,700 guests. Around 50 km west of Alexandria on a sublime stretch of the beach, Iberotel Borg El Arab is bringing five-star service and facilities to Egypt’s Mediterranean coastline. The hotel is a mere 20-minute drive from Borg El Arab international airport, making this one of the most comfortably convenient bases from which to experience all that Alexandria and the surrounding region has to offer. The hotel champions the Mediterranean with a full range of water sports and shaded beach furniture alongside a lagoon pool. With Egyptian underpinnings and a sleek waterfront setting, the resort-style Hotel embodies modern Alexandria and its unique cosmopolitan flare. On one side, the Mediterranean Sea glistens in the sun; on the other, a dynamic metropolis buzzes with life. Their on-site expert will work with you or your wedding consultant to reserve your dates, plan the schedule of events, coordinate all food and beverage details from menu design to linens, and guide you through your entire wedding experience at the Hotel. Stay at Hilton Alexandria Corniche and enjoy gorgeous views of the Mediterranean Sea and historic surroundings. Set in the heart of the city, our hotel is steps from the Corniche beachfront walkway and minutes to Alexandria National Museum, Souk El-Attarine and Montazah Palace Gardens. At Hilton Alexandria Corniche, they provide the space, style and personalized service that you want and expect. From grandiose galas and meticulous meetings to private parties and social soirées, your special occasion is our main event. With more than 1,000m2 of event space, Hilton Alexandria Corniche is the ideal location for any event or occasion. What about an open-air party with fabulous sea views? Hold your wedding event or engagement party by the gorgeous pool area accommodating up to 80 guests or create an exclusive affair for up to 350 people at the private beach. Africana is a four stars Hotel in King Mariout, Alexandria, Egypt. which overlooks a fabulous panorama of Mariout’s lake. The dry and sunny weather, and the calm and healthy environment, makes this Hotel a perfect place to relax and recover. A beautiful wedding venue that offers professional wedding planning and decor services, as well as a private bridal suite and VIP room. 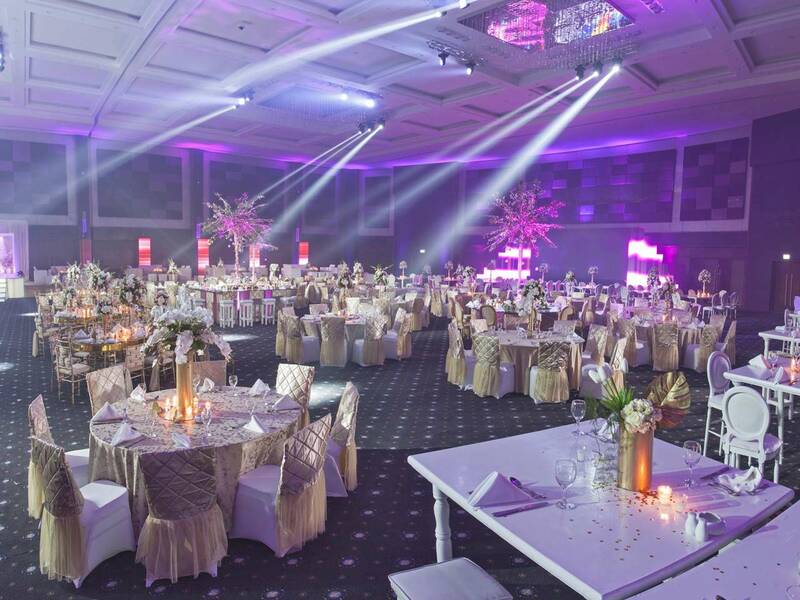 Located on the way to the Corniche, this wedding hall offers special packages for weddings and events, including dinner buffets, DJ, and Zaffa, and a very high standard service. This wedding hall is a pillar free hall with a space of 1500m2, perfect for a big wedding or engagement.